← Swarovski Crystal Tattoos – now in variety packs! Sparkle Plenty Designs is thrilled for our sister site, GoodtoBeYou, a very girly online boutique chock-full of fabulous gifts and fashion problem solvers for women of all ages. Why? 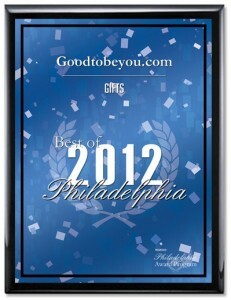 Because GoodtoBeYou was just awarded the 2012 Best Of Philadelphia award in the gifts category! Here’s the official Press Release — and just for reading this, please be our guest and take 10% off ANY order at GoodtoBeYou with promo code friends10 at checkout. Yes, it is GOOD TO BE YOU! 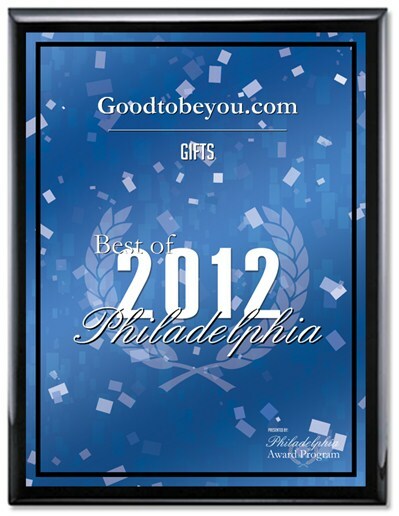 LOS ANGELES, CA, July, 2012 - Goodtobeyou.com has been selected for the 2012 Best of Philadelphia Award in the Gifts category by the Philadelphia Award Program. Each year, the Philadelphia Award Program identifies companies that we believe have achieved exceptional marketing success in their local community and business category. These are local companies that enhance the positive image of small business through service to their customers and our community. These exceptional companies help make the Philadelphia area a great place to live, work and play. Various sources of information were gathered and analyzed to choose the winners in each category. The 2012 Philadelphia Award Program focuses on quality, not quantity. Winners are determined based on the information gathered both internally by the Philadelphia Award Program and data provided by third parties. This entry was posted in best in philadelphia, best in philly, best of the web, gifts for girls, gifts for moms, gifts for women, girly gifts, good to be you, goodtobeyou, goodtobeyou.com, Uncategorized, unique accessories, website award. Bookmark the permalink.